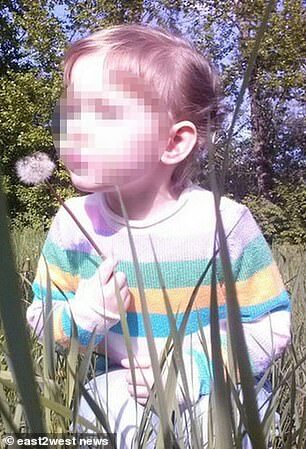 A woman has been jailed for nine years for trying to kill her neighbour’s five year old daughter after she mistook the child for Gollum from The Lord of the Rings. 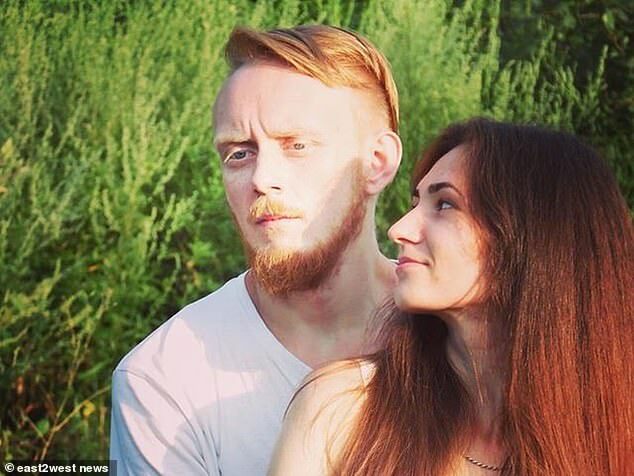 Galina Kobzeva, 69, was convicted of the attempted murder of Nadya Shustova with a knife and hammer before throwing her off a third floor balcony in the Samara region of Russia. The child was close to death and survived by a ‘miracle’. 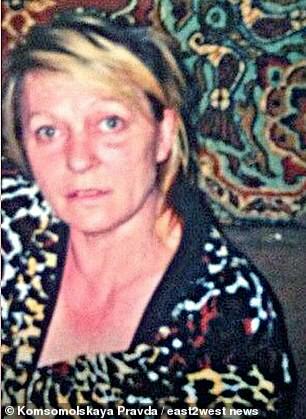 Pensioner Kobzeva has been ordered to pay £8,350 in ‘moral damages’ to her victim. The girl later told how she had screamed for help as she was beaten and stabbed – but no-one came. The neighbour had been babysitting the child in her flat when she staged the horrific attack. 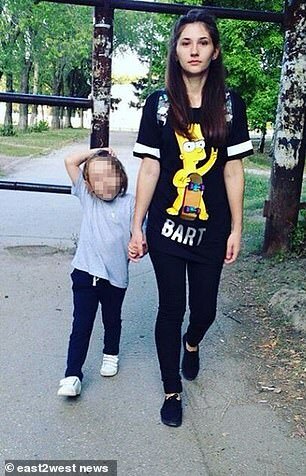 A woman passerby saw Kobzeva throwing the child from the balcony – then rescued her from the pavement and called an ambulance. She had gone to check on Nadya who was watching TV and ‘suddenly saw Gollum from The Lord of the Rings’ who ‘stared’ at her ‘loudly laughing’. She left the room fearing a delusion, drank more beer, then returned and ‘once again saw a laughing monster from the saga of the British writer’. 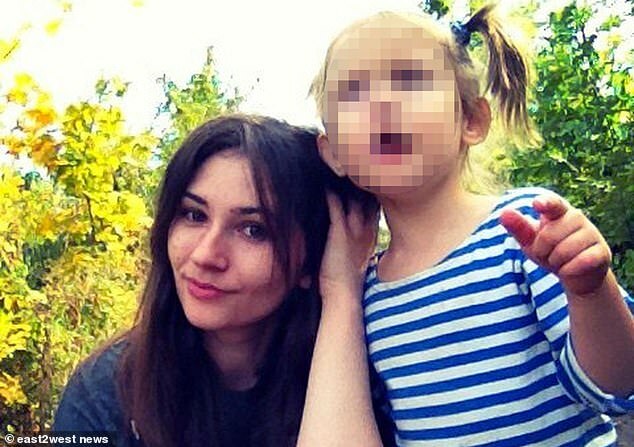 The girl’s mother Oksana Baleyko, 25, said: ‘She decided to fight this “monster”. Kobzeva hit the girl repeatedly over the head. 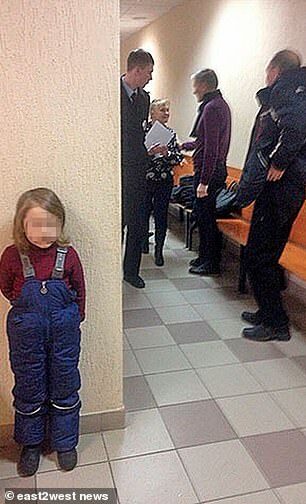 Nadya told her mother that the neighbour tried to strangle her. ‘Then Galina beat Nadya’s head against the floor, and grabbed a hammer and struck her on the head,’ said Oksana. ‘Doctors told us that she used a knife too because Nadya’s head was covered with stabs and cuts. ‘Then she tried to push Nadya out of the window but my daughter actively resisted and shouted. Medical documents highlighted in court show Nadya was in a ‘grave’ condition when she came to hospital. 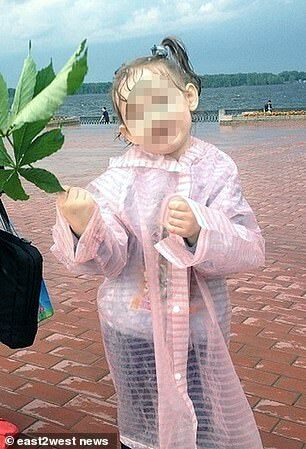 Her mother and father, Mikhail Shustov, had earlier appealed direct to President Vladimir Putin alleging repeated delays in the case. 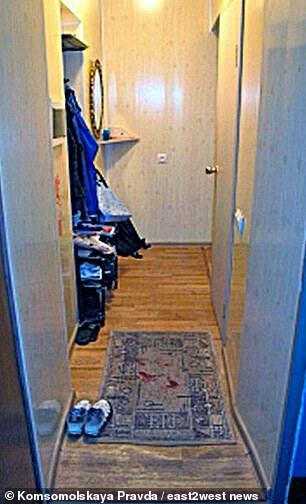 Oksana said she ‘trusted’ the neighbour before the attack and the woman was always ‘friendly’ with Nadya. Kobzeva was deemed mentally fit to stand trial.